Harry Belafonte is speaking out in support of Nate Parker and seems to have conspiracy theories similar to those of Al Sharpton. 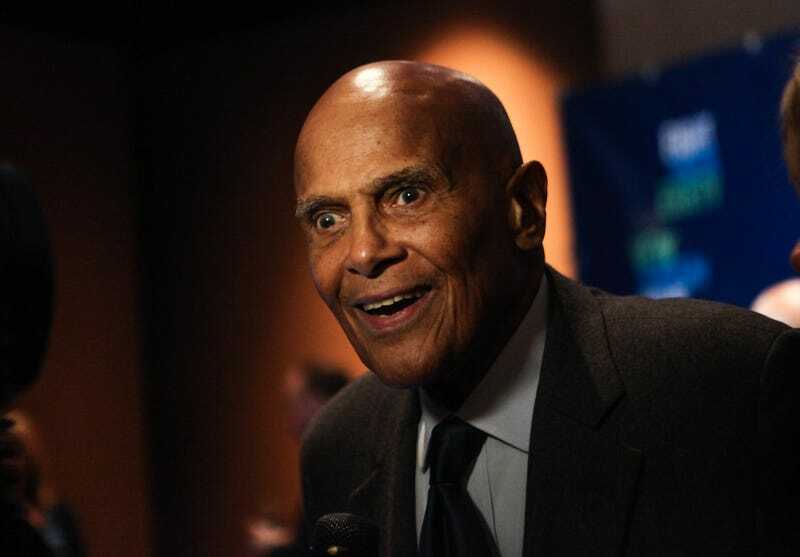 According to the Associated Press, Belafonte recently viewed The Birth of a Nation and also wondered why Parker's past is now coming back to haunt him. "The fact that [the system] may have screwed up, the fact that it didn't really take care of justice, the fact that he should have been punished or whatever, is history," Belafonte continued. "The fact is that he was confronted and then he did go through the process. Why are you bringing this up now? What has he done that requires this kind of animus?" It's funny how Belafonte will bring up the "system" when he's been adamant about it failing when it comes to the likes of George Zimmerman and other killers of black men. But like Sharpton, Belafonte can't grasp the concept of it failing in any other way. "How do I put it in a perspective that helps me with greater clarity understand why this is the consequence of something he's done by getting this high profile, ’cause this film is touching a lot of consciousness? Why isn't that the story?" Belafonte asked. "And is this going to be the price that young black women and men pay for making films of substance?" he continued. "Are they going to dig in and get dirt instead of fruit? What are we doing here? And where is the voice that defends him if he, in fact, is worthy of defending?" It seems that a lot of people are forgetting the fact that Parker's past was brought up by Fox Searchlight and Parker so that it wouldn't be brought up around award season. But, you know, some people are oblivious to details at times. Parker is still scheduled to appear at the Toronto Film Festival, but a source in communication with him says that he’s in a low place. He vacillates between thinking the case is resurfacing now after 17 years because of a Hollywood conspiracy against him or just bad luck. He’s disappointed over the backlash on social media and that the African-American online community hasn’t been more supportive. And he’s even mad at himself, for underestimating the public’s interest in a court case that happened so long ago.